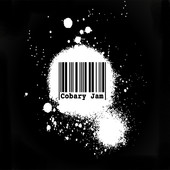 Cobary Jam is a powerful American group/collaboration with a love for rock and electronic infusions, but not confined to one sound. Based out of Denver, they capitalize on their male and female vocal exchanges driven by hybrid drumming styles. This groups’ enticing harmonies, creative hooks and unorthodox writing matched by their raw, edgy style has set Cobary Jam as a reliable and powerful source of music. The core of the group was formed in 2007 when guitarists and vocalists Jacob and Mary came to pursue music and life together. Starting from scratch, they built their sound up, incorporating their grunge roots while infusing their songs with modern day backbeats and effects. In 2010 , Cobary Jam (anagram of ‘JacobMary’) was born. Through time, evolution and continued collaboration with floating percussionists bringing hypnotic beats to the table, their sound is undeniable as it hits the universal scene. Cobary Jam is out performing and continuing to chip away at recording/producing their ever flowing, genre bouncing, archive of music. Their debut self-titled EP is streaming and available for purchase via iTunes, Spotify, Amazon, Google Play, etc. As well as main record stores around Denver, CO and Omaha, NE.